Full disclosure: Some of these recommended books have affiliate links. If you choose to purchase we may receive compensation. The 4-Hour Workweek: Escape 9-5, Live Anywhere, and Join the New Rich -Timothy Ferriss Whether your dream is escaping the rat race, experiencing high-end world travel, earning a monthly five-figure income with zero management, or just living more and working less, this book is the blueprint. 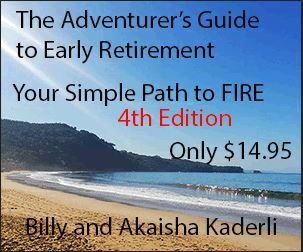 The Adventurer's Guide to Early Retirement, A Common Sense Approach by Billy and Akaisha Kaderli. Written by Early Retirees for Early Retirees and Dreamers. People love it! Check out the kudos and comments. The Adventurer's Guide to Pana Living The most comprehensive Guide to Panajachel ever! 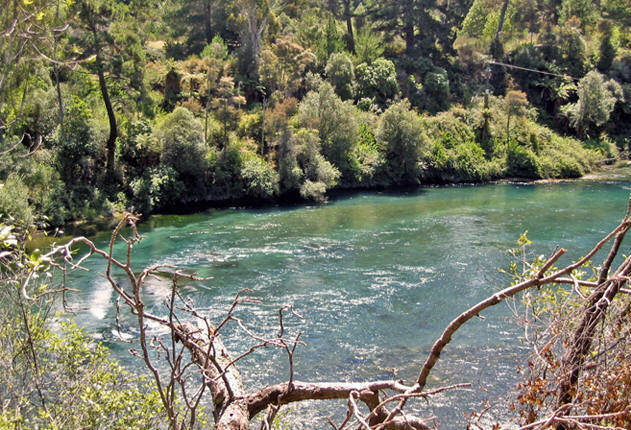 - We have six years of experience living in Pana and decades of retirement adventures. 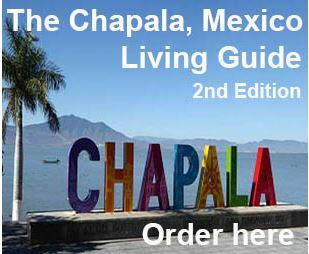 - Use this guide to launch your own Guatemalan Adventure. Unique, - Unusual, Unmatched Beauty, Panajachel, Guatemala is a Retirement Gem in the Rough. The Art of Non-Conformity: Set Your Own Rules, Live the Life You Want, and Change the World Chris Guillebeau defies common assumptions about life and work while arming you with the tools to live differently. You'll discover how to live on your own terms by exploring creative self-employment, radical goal-setting, contrarian travel, and embracing life as a constant adventure. Art of Travel publishes a free ebook on How to See the World, European and World Backpacking. Covers good topics, 25 chapters. Blue Guides have been published continuously since 1918. They offer the best researched, best presented, cultural guide books in the English language. Cashing in on the American Dream by Paul Terhorst (1990-02-01) Paul Terhorst is the Granddaddy of the early retirement movement. He writes in a conversational style, with simple ideas to implement if you are interested in planning for your early retirement. Paul and Vicki have been retired for decades now and continue to travel the world. Change Your Thoughts - Change Your Life: Living the Wisdom of the Tao - Dr. Wayne W. Dyer has reviewed hundreds of translations of the Tao Te Ching and has written 81 distinct essays on how to apply the ancient wisdom of Lao-tzu to today's modern world. Chapala Guide The Adventurer's Guide to Chapala Living, Second Edition A common sense approach to your new life in Chapala, Mexico. Step-by-step instructions with over sixty pages chocked full of details for your first visit to this extraordinary area. Complete Guide to Full-Time RVing: Life on the Open Road - Moeller. Older book, but great information. It's the one we read back in the 80's when we considered Early Retirement living options. Destination Guide The Adventurer's Guide to Destination Choices: Mexico, Thailand, Guatemala and USA Stop dreaming about it! Make it happen! Reduce your cost of living. Find better weather. Create a healthier way of life. 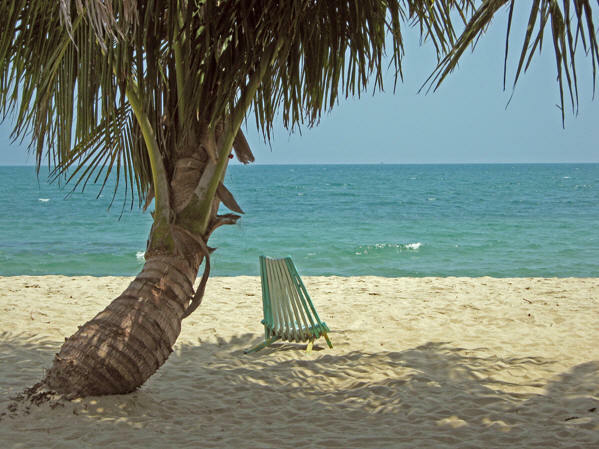 It IS possible to retire and live well on $2,000 USD a month. Doing Good . . . Says Who? : Stories from Volunteers, Nonprofits, Donors, and Those They Want to Help This book explores the impact of good intentions from the inside. The authors conducted over 400 interviews and synthesized the lessons learned. The end result is that you are on the ground with volunteers, nonprofits, donors, and - most uniquely - the intended beneficiaries of good will. The Expatriate's Guide to Handling Money and Taxes -The Expatriate’s Guide to Handling Moneey and Taxes" is a must-read for all American citizens living (or thinking about moving) overseas. Family Travel: The Farther You Go, the Closer You Get (Travelers' Tales Guides) (2000-01-05) by Laura Manske. A collection of literary tales about family travel. Family Travels Rick Swanson's family has been traveling as a family for years. Take advantage of their wisdom and travel tips. By Gavin de Becker - The Gift of Fear (4.11.1998) Highly recommended for anyone who is thinking of traveling or moving overseas. Actually, it is recommended for everyone who finds themselves in fear of living. The world is not a more violent place than it has ever been, however we live as if it were. Substantive and practical. How The (Bleep) Did I Get This Old? : And other catastrophes that attack and assault when your back is turned. by Laverne H. Bardy (2012-01-19) showcases the best of Laverne's View, a humor column Laverne H. Bardy began in 1999. The author returns to the single life after the breakup of a twenty-one year marriage. Men are older, but still motivated by the same primal urges, and four decades and three children later, she is still trying to preserve her virginity. How to Live Well Without Owning a Car: Save Money, Breathe Easier, and Get More Mileage Out of Life Award-winning journalist Chris Balish, who lives in Los Angeles, exposes the true costs of car ownership and shows how car-free living can put anyone on the path to financial freedom. Let's Go Travel Guides Travel, study, work, play. Maps available also. Live Your Road Trip Dream: Travel for a Year for the Cost of Staying Home is a how-to-guide that includes step-by-step information on planning the trip you've always wanted to take, but didn't know how to make a reality. Learn how to take an extended trip for the cost of staying home, written by Carol and Phil White. The book covers Road trip budgets, road trip tips, travel guide information for those wanting to take an adventure. 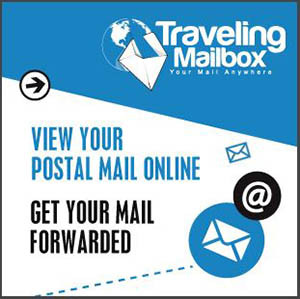 The Lonely Planet Newsletter, travel forums, travel stories, volunteer opportunities. How do you know if you would like to see a particular country? Check it out here first. Mexico Highlands The Adventurer's Guide to Mexico's Highlands Traveling through the highlands of Mexico is a must adventure for any traveler. Mexico Pacific Coast The Adventurer's Guide to the Pacific Coast of Mexico details our route, the places we stayed, prices we paid along this adventure and history and culture of these locations. After each city you will find information on hotels in the area, transportation available, useful notes and the pros and cons of each place as we view them. Moon Travel Guides make independent travel and outdoor exploration fun and accessible, with expert writers delivering a mix of honest insight, first-rate strategic advice, and an essential dose of humor. ONE YEAR OFF: Leaving It All Behind for A Round-the-World Journey with Our Children Round-the-World journey with children by David Elliot Cohen. When Cohen turned 40, he quit his job, sold his house and car and left to travel the world with his wife and three kids. Pauline Frommer's Travel Guides See more, spend less! Guides for cities and countries. Worth your time to view. Prodigal Sons and Material Girls: How Not to Be Your Child's ATM by Nathan Dungan (2003-05-02) - teach your children how to become savvy consumers who make decisions based on their values. This book is for every parent, regardless of their wealth or status. Sound and practical advice. RE-FIRE! Don't retire Dr. Cynthia Barnett, Retirement Lifestyle Specialist and author of Stop Singing the Blues, will help you develop an identity apart from your present work role, thus facilitating a smooth and easy transition to retirement. She offers programs, books, and newsletters to those who wish to remain active, involved, or productive in activities that are meaningful to them. Hers is an upbeat site, stressing self reliance and creativity. Rick Steves Through the Back Door For 30 years Rick Steves has taught smart European travel. Tours, travel store, website, Rick on the radio, Rick on TV, guidebooks, free podcasts, free newsletter. The Rough Guides publish guides to hundreds of worldwide destinations, as well as benchmark books on diverse subjects, from Ethical Living to iPods and Opera. Browse them online and check them out! The Simple Living Guide: A Sourcebook for Less Stressful, More Joyful Living by Janet Luhrs (1997-09-01) by Janet Luhrs. A thoughtful and practical guide to simplifying your life. Take Your Kids to Europe: How to Travel Safely (and Sanely) in Europe with Your Children by Cynthia W. Harriman A book of practical tips for traveling families traveling to Europe on limited budgets. There's a Spiritual Solution to Every Problem - Dr. Wayne W. Dyer offers compelling testimony on the power of love, harmony and service. In this inspiring book, Dyer shows us that there is an omnipotent spiritual force at our fingertips that contains the solution to our problems. Travel with Kids is an award-winning travel documentary television series designed with families in mind. Experience destinations around the world. Both educational and entertaining, the Travel With Kids series presents the history and culture of a destination in an innovative format that is fun and informative for the whole family. The travel show produced by parents and kids for parents and kids. The Ultimate Guide to Thriving as a Newly Independent Woman This guide offers fabulous advice to independent women on making the process of moving easier, as well as how to pinpoint a perfect new spot to take up residence. Vagabonding: An Uncommon Guide to the Art of Long-Term World Travel - Rolf Potts - This book is about taking time off from your normal life to discover the world on your own terms. Anyone armed with an independent spirit can achieve the dream of extended overseas travel. Walden by Henry David Thoreau continues to inspire and inform. Work Less, Live More: The New Way to Retire Early We were featured in this well-regarded book by Bob Clyatt. Offering financial information and many options to the retirement conundrum Bob illustrates how a one-sized solution does not fit all. Recommended. Your Money or Your Life: 9 Steps to Transforming Your Relationship with Money and Achieving Financial Independence: Revised and Updated for the 21st Century Joe Dominguez & Vicki Robin. A real classic. Your Retirement Dream IS Possible The Adventurer's Guide to The Possible Dream, Twenty Years Later. A must read for anyone who dreams of retirement but is worried that their plan has been derailed by a weak economy. Using their own inspirational retirement as an example, they step readers through practical advice about building and managing a financial portfolio, health care concerns, housing, traveling and lifestyle choices. After reading this book, you'll come away not only with a solid financial plan, but the courage and know-how to take the leap into the life you want. - Judy Martel, author of "The Dilemmas of Family Wealth," and Bankrate.com's Wealth blog.